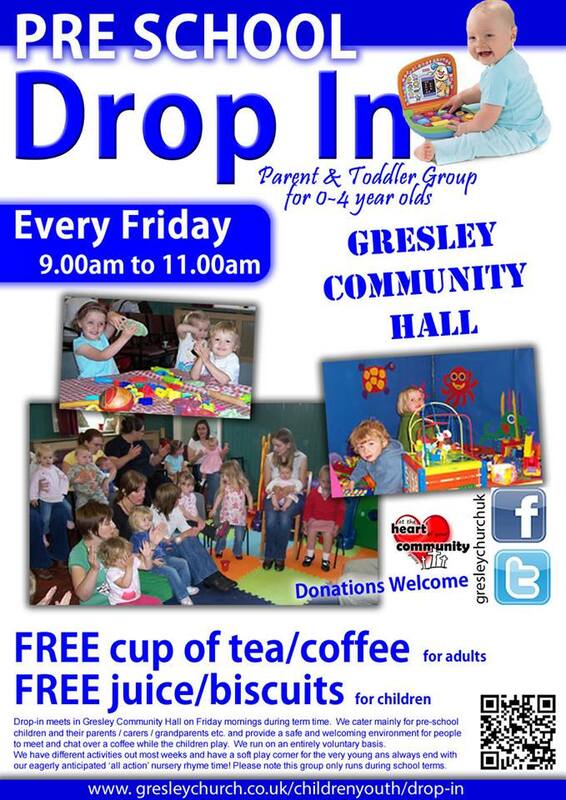 ‘Drop-in’ meets in Gresley Community Centre on Friday mornings. We cater mainly for pre-school children and their parents / carers / grandparents etc. and provide a safe and welcoming environment for people to meet and chat over a coffee while the children play. We run on an entirely voluntary basis and do not charge for anything although donations are always welcome! You are very much welcome to ‘drop-in’ at any time during the morning. We have different activities out most weeks and have a soft play corner for the very young. The mornings activities finish at 10.45 am when we have an all action nursery rhyme time!